In the city of Kaitan, during the frost of another cold winter, the local shipyard is downsized and layoffs abound. Futa (Pistol Takehara) lives with his younger sister Honami (Mitsuki Tanimura). Futa loses his job at the shipyard and, feeling uneasy about their situation, goes with his sister Honami to see the sunrise on a nearby mountainside for New Year's Day. 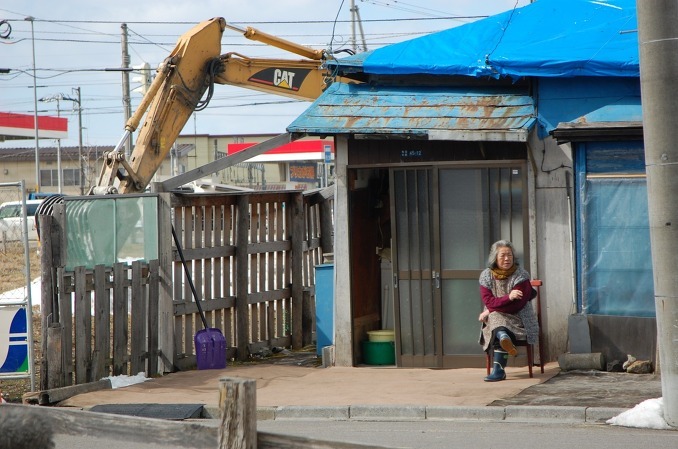 Makoto (Takashi Yamanaka), a new city hall employee, visits the sole remaining house in a redevelopment area. The home belongs to a 70-year-old grandmother Toki (Aki Nakazato) who lives with her cat and a few livestock animals in her backyard. Toki refuses to vacate the land and Makoto tries to emphasize that she will be forcibly evicted otherwise. 49-year-old Ryuzo (Kaoru Kobayashi) works in a small planetarium, while his relationship with his wife Haruyo (Haruyo Hika) and teenage son has deteriorated. Haruyo has found her release in her work as a hostess for a shady hostess bar. Haruo (Ryo Kase), who has now taken over operations of his father's gas company, worries about the state of his business. Furthermore, Haruo has a strained relationship with his volatile wife. Meanwhile, his wife takes out her anger on their son Akira. One day, street car driver Taichiro (Shigeki Nishibori) spots his son Hiroshi (Masaki Miura) walking in downtown Kaitan. Hiroshi lives & works in Tokyo, but has come back to Kaitan for business. Even though it's the holiday season, he doesn't talk to his father. "Sketches of Kaitan City" is based on the collected short stories written by Yasushi Sato for his unfinished novel "Kaitanshi Jokei." The novel was published posthumously in 1990 after Yasushi Sato committed suicide. 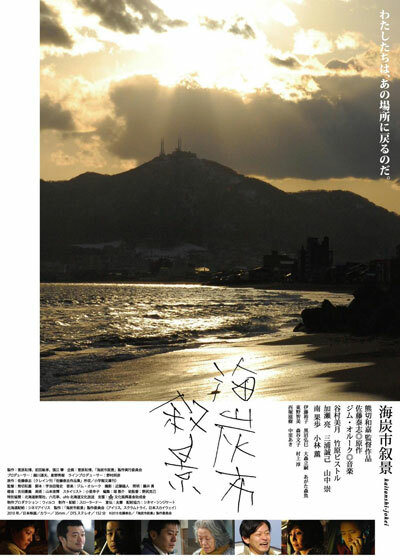 The film "Sketches of Kaitan City" takes 5 episodes from the 18 episodes found in the novel "Kaitanshi Jokei". The city of Kaitan is a fictional town based on Yasushi Sato's hometown of Hokkaido. 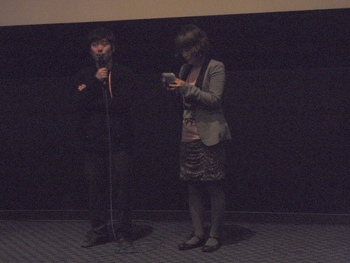 Q&A took place after a screening of "Sketches of Kaitan City" at the 2011 Jeonju International Film Festival on May 2nd. AsianWiki editor Ki Mun was there and transcribed/translated the session. Kazuyoshi Kumakiri: "Hello (spoken in Korean), I'm Kazuyoshi Kumakiri from Japan. Thank you for watching my film with its long running time." Audience Question: "The scene when the boat has its ceremonial launch. Did you really shoot the scene when the boat was actually launching or was it staged somehow? Also, scenes on the streetcar I could hear certain public announcements that were announced in Korean. Does Kaitan City have a large Korean population? Also why did you select Kaitan City as your focus?" Moderator: "Kaitan City is a fictional city. I just learned that myself." Kazuyoshi Kumakiri: "I asked the shipyard in Hokkaido for shooting permission. 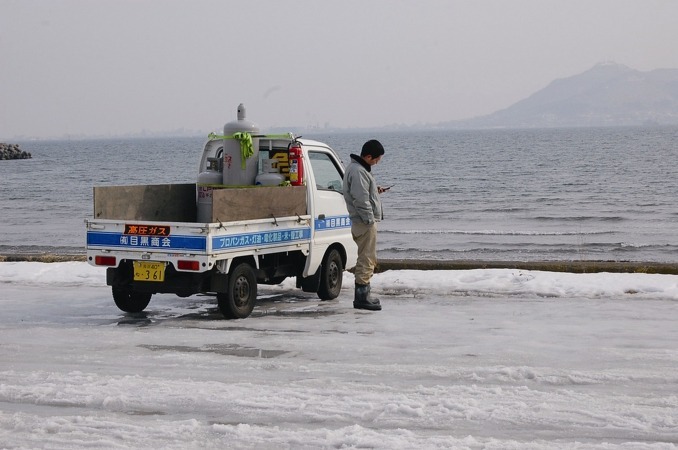 Hokkaido is also popular for tourists. So the announcement you heard in the streetcar are for tourists visiting. Answer for why I chose Kaitan City. Originally, Hakodate City in Hokkaido Prefecture was a model for the fictional city of Kaitan City. A person who runs a small theatre in Hakodate planned this film. Actually, writer Sato Yasushi, who passed away 20-years-ago, was from Hakodate. He wrote the original novel "Kaitanshi Jokei". 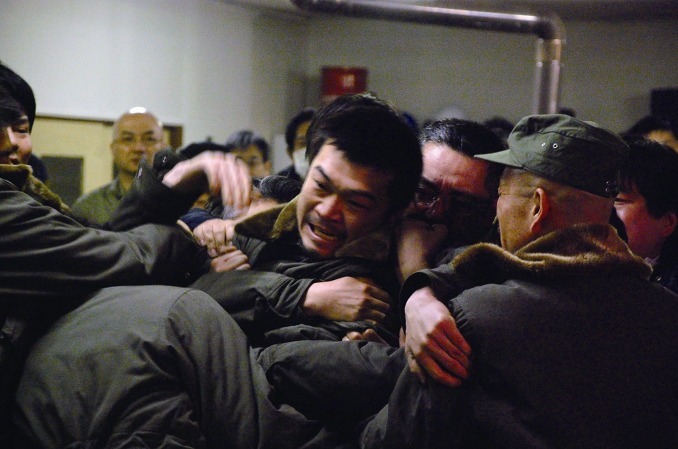 The person who planned the film, suggested to base the film on Sato Yasushi's novel. Hakodate is famous for film scenes shot in the city. Most of the movies shot in Hakodate are not realistic, so the person who planned the movie suggested to make the movie realistic based on the lives of normal people from there. So the city collected funds for the movie, which helped me a lot." Audience Question: "Compared to the novel, what did you add in the movie?" Kazuyoshi Kumakiri: "The novel is 18 short episodes. From the 18 stories, I picked 5 short stories. The novel contains more documented content than the movie. The novel was written 20 years ago, but from the novel you can see modern Japanese cities. That is why I picked the stories." Audience Question: "Jim O'Rourke, who made the OST, is a well known muscian. His music is experimental and techno, but in this movie he made the music universal and calm. I am curious how he came to work on the OST?" Kazuyoshi Kumakiri: "Even I was surprised to work with him on the movie. He lives in Japan, so we often drink in Shinjuku. I suggested to him to make the soundtrack music. He accepted. He likes movies a lot. He has watched movies I made. When we meet we only talk about movies." Audience Question: "You mentioned that the shooting took place in Hakodate and the movie is based on the novel for the city. Why did you make the fictional city Kaitan?" Kazuyoshi Kumakiri: "I wanted to describe a small city realistically, through and through, but if I put a certain name of a city in the movie, the movie is limited to that city. I do not like that. Actually I'm from Hokkaido, I was touched by the book which talked about things when I grew up." Audience Question: "The last scene with the patting of the cat - close-up, what did you want to deliver in that scene?" Kazuyoshi Kumakiri: "I shoot that way, so actually I don't want to explain in words. I think for that scene, I hope the audience finds an answer." Audience Question: "I'm curious about the grandmother's role in the movie, because she appeared almost in the first scene and the last scene. I thought the grandmother is seperated from the rest of the characters?" Kazuyoshi Kumakiri: "The grandmother has no connection with the other characters. Just, I hope you see that the character lives in the same area. I want to describe the grandmother who witnesses history and the changes of the area. Extrapulating that ... I want to describe her as an angel. I got attracted by the writer's eyes from the original novel. Not seeing only the good things, but the ugly things some may want to hide. Describe it the way it is. Describe human beings the way it is ... above good and evil. Actually, when I shot the film, I cared about that part. Frankly, this movie does not attract people's interest in Japan. In there, there isn't a big case or luxurious things to watch, but people who live there and the grandmother is part of that movie." Kazuyoshi Kumakiri: "Thank you, this movie is my 8th long film. The movie contains various thoughts and memories. Thank you, for watching the film."